A collection of beautiful watercolour paintings and prints which we are sure will include something for every taste and decore. Binglebar is proud to present a collection of original watercolour paintings and photographs by popular Australian artist Ian Holmes. Ian's work is represented all around Australia and included in various overseas collections. Ian takes inspiration from Australia's unique landscape and lifestyle for his works and this can clearly be seen in both his paintings and his photographs. Ian has always been particularly drawn to the diversity and beauty of Sydney's harbour and the bustling activity around it's various landmarks like the Harbour Bridge and Opera House. 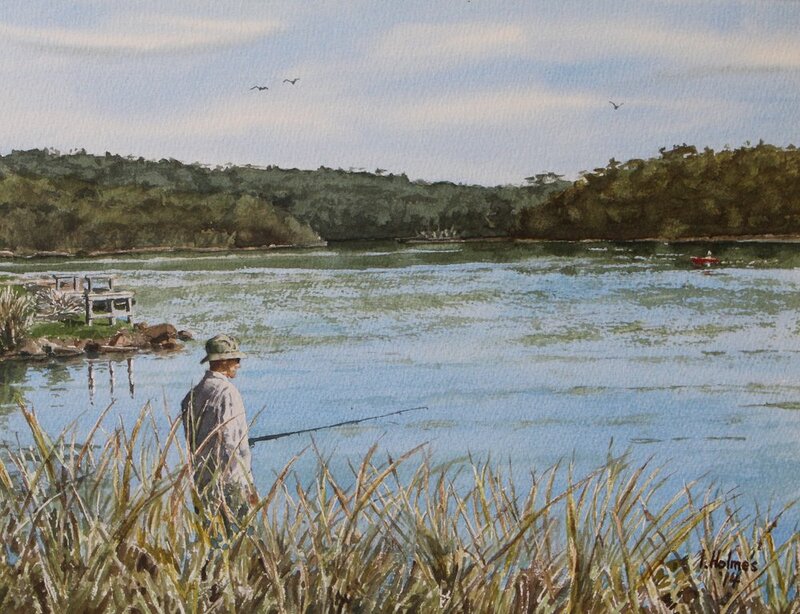 He is also inspired by the beautiful south coast of New South Wales where he resides for part of the year. All of Ian's original works are watercolour paintings on Arches 300 gsm acid free, 100% cotton watercolour paper. They are sold unframed for the purposes of safe delivery which also provides the purchaser the opportunity to frame them to suit their own personal tastes and decor. All of the original artworks shown below are currently available for sale (unless shown otherwise). Naturally, being originals, there is only one of each so be quick! However, a range of beautifully printed copies of many of Ian's paintings are available for sale either on canvas or poster style prints. We are very pleased to announce that we will very shortly also have a collection of beautiful ready-to-hang canvas prints of various sizes available for purchase. Our collection will include not only prints of Ian's artworks but also a selection of some of the many photographs Ian has taken in his quest to find unique subjects for his works. Ian's wife, Lyn, also an avid photographer, shares his passion for the uniqueness of the Australian landscape and culture, particularly its coastal areas, and many of her photographs will also be featured here. Please click on any of the images below to enlarge. 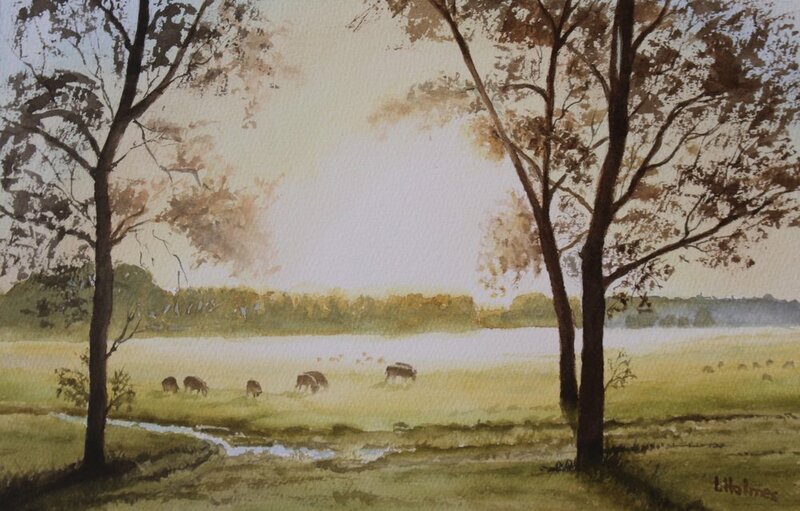 An original watercolour painting by Ian Holmes. Cost: $200 (unframed) plus $10 postage. (Prints are also available). Click here to see how it might look framed. Thank you for your interest in purchasing "A Day at the Beach". Please complete the form below and one of us will get back to you ASAP with a response to your enquiry and/or an invoice confirming the artwork you wish to purchase and payment details. Kind Regards, Lyn and Ian. Cost: $170 (unframed) plus $10 postage. (Prints are also available). Sold (Sorry) but canvas prints still available! Cost: $150 (unframed) plus $10 postage (Prints also available). Cost: $250 (unframed) plus postage. (Prints also available). Cost: $130 (unframed) plus $10 postage. (Prints also available). Cost; $170 (unframed) plus $10 postage (Prints also available). Cost: $170 (unframed) plus $10 postage (Prints also available). Cost: $180 (unframed) plus $10 postage (Prints also available). Cost: $120 (unframed) plus $10 postage (Prints also available). Cost: $140 (unframed) plus $10 postage (Prints also available).